For the words that really matter say it in ink on paper. 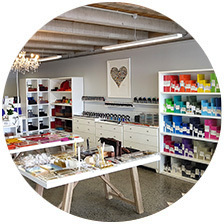 Stationery lovers should not miss a visit to the gorgeous colourful boutique stationery store FitzgeraldTaylor located at Shop 2, 2 Queens Parade, Devonport, Auckland, New Zealand. Filled with hand-picked product sourced from all over the world FitzgeraldTaylor is a treasure trove of writing instruments, inks, journals, notebooks, paper goods and unique gift ideas. Don’t panic if you can’t make it here in person – you can shop a selection of our products here online.